Seafood must be eaten. Often. Go to the ocean. Play in the waves. Hold a Koala. Pet a Kangaroo. Be a little competitive. Play games. 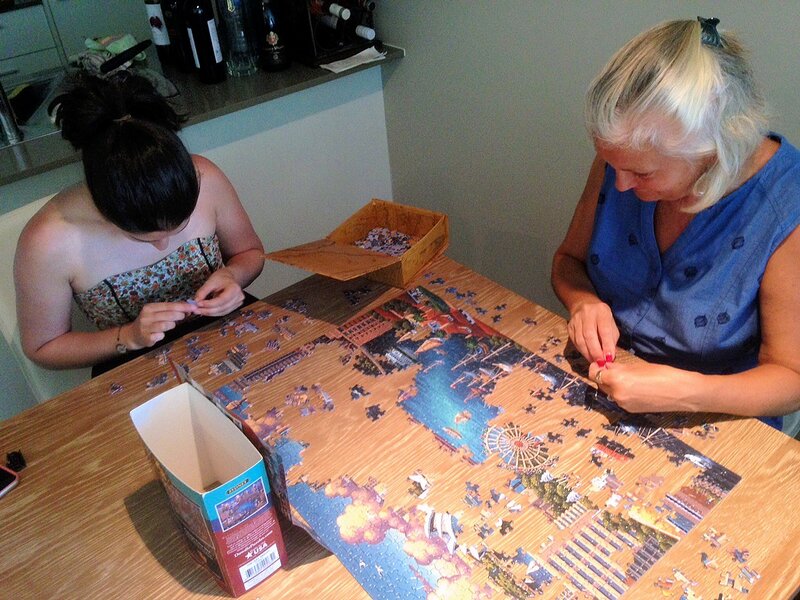 Do a Puzzle. 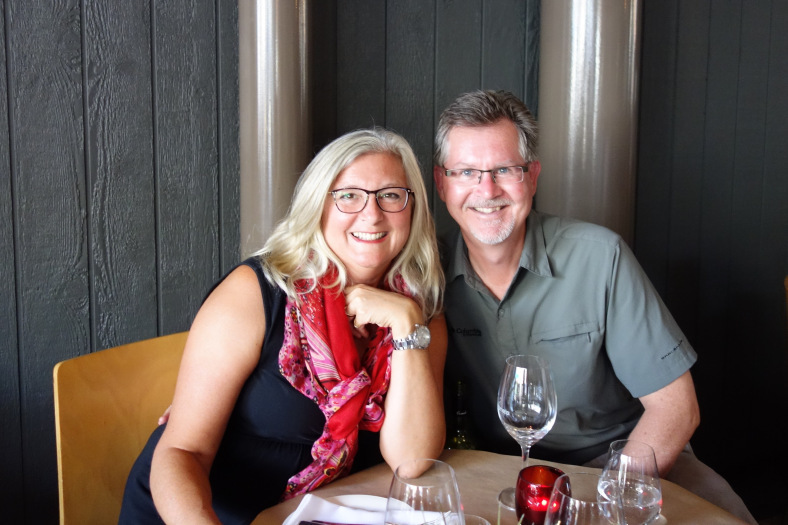 So, here we are – day 1 – and out at Fresh ‘N Wild with plates of fish and chips, mussels, and calamari – and a couple of bottles of wine. We really did end up eating fish and chips quite a bit, I must say. 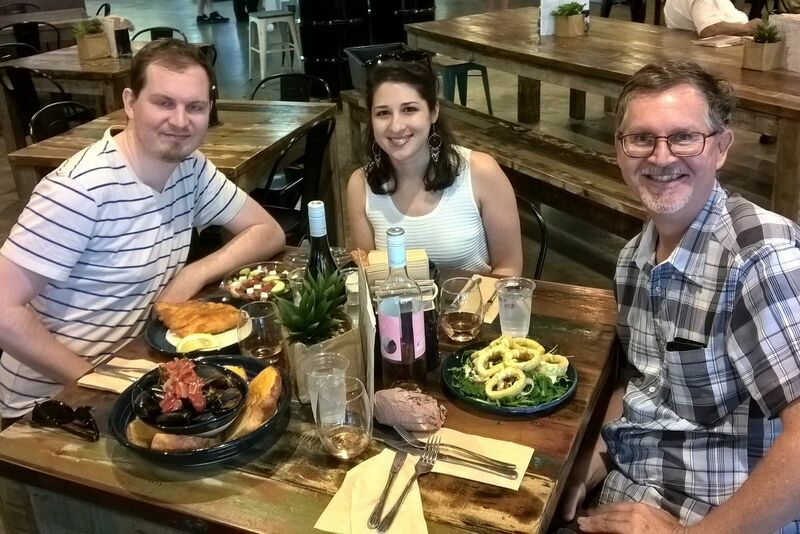 Although I love to cook, we were out and about quite a bit and planning to cook a meal wasn’t easy – whereas fish and chips is easy, fresh, and fast too! 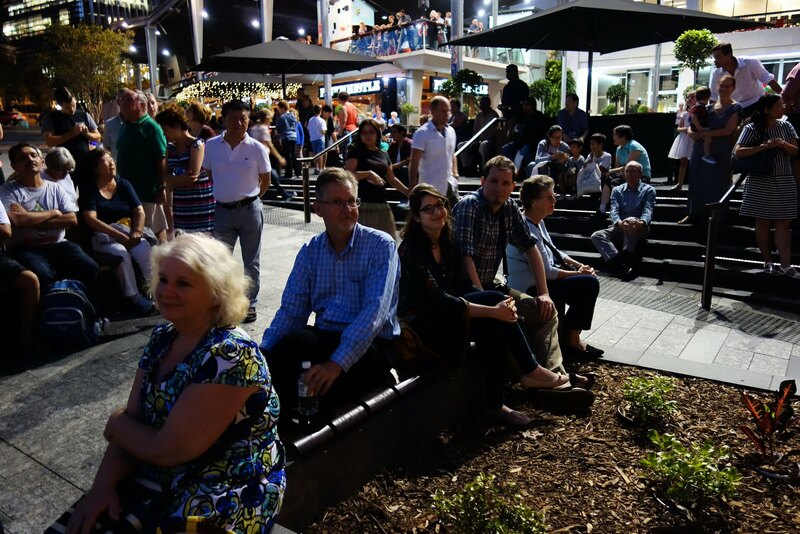 It is the Brissie way. I’m sure that there are other things to eat at the beach, but what are they? 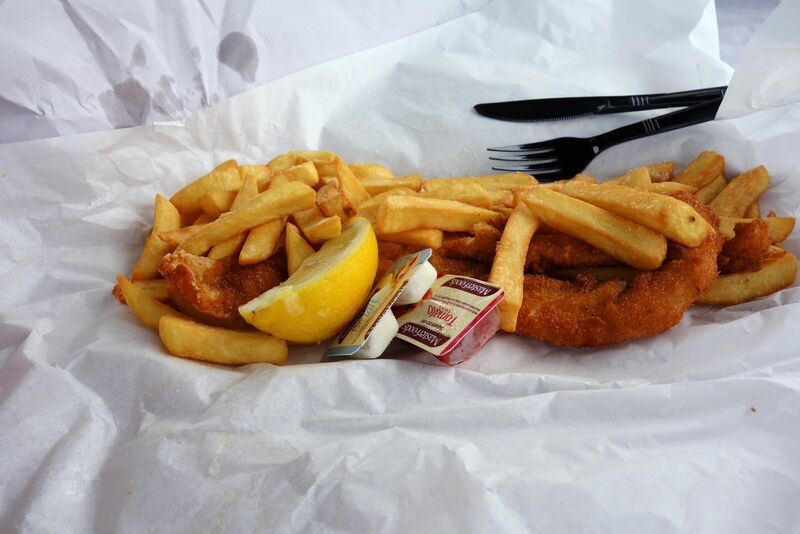 Fish and Chips, what else? Reef Seafood, at the Gasworks, is one of our favorite places. Not only is the food great but the open air ambiance is so enjoyable. We like to sit where we can easily see the changing lights of the Gasworks structure. They also have a topnotch oyster bar and sushi too. Sometimes you need a break from fish and a really great burger is always welcome. We always like to head to Miel Container for a burger that is truly difficult eat, and impossible to resist. 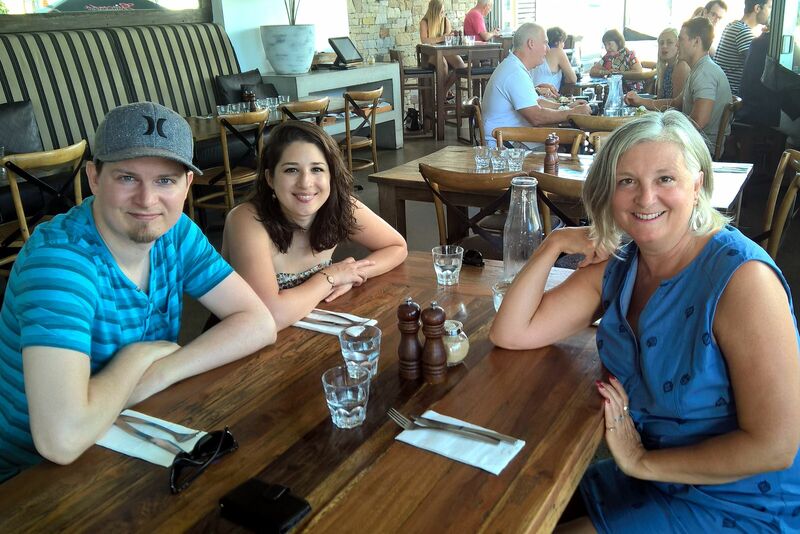 Going out for breakfast is a common activity here – and so here we are at “The Jetty” – a popular restaurant in Bulimba. Let’s face it. You can’t travel with Micah and not drink beer. 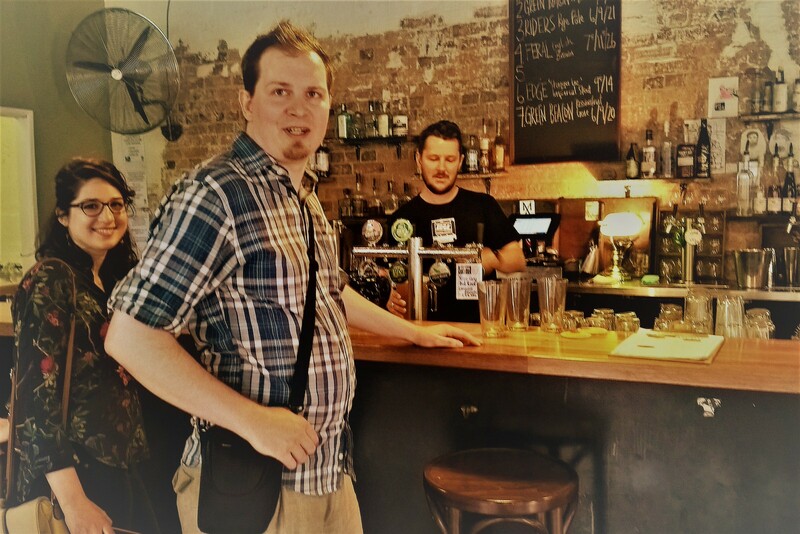 Brisbane is a great place to do it because there are lots of micro breweries. We weren’t able to get into Tippler’s Tap because it was closed, but we got a tip to try HooHa Bar a few blocks away. It is really off the beaten track, but had very good beer on tap and cool vibe. We went all the way across town to go to this spot. 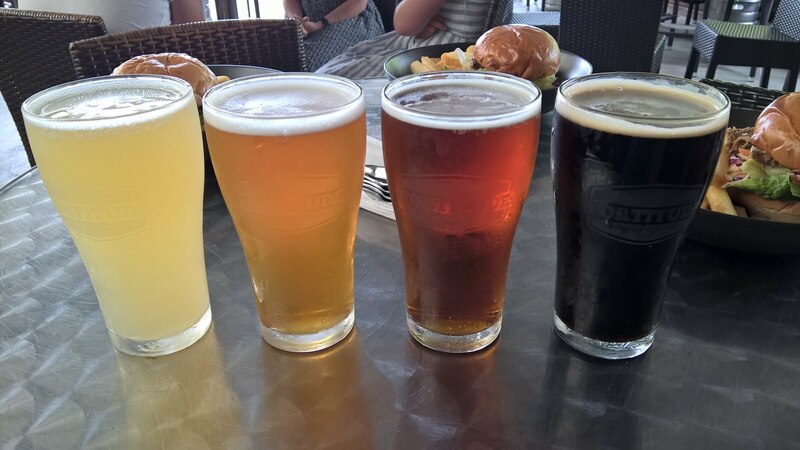 The burgers were recommended, as was the beer. We got lost (my fault) but Aida rescued us with her GPS, so we did get there. It was a fun, but I don’t think that it will be worth a trip across town again. 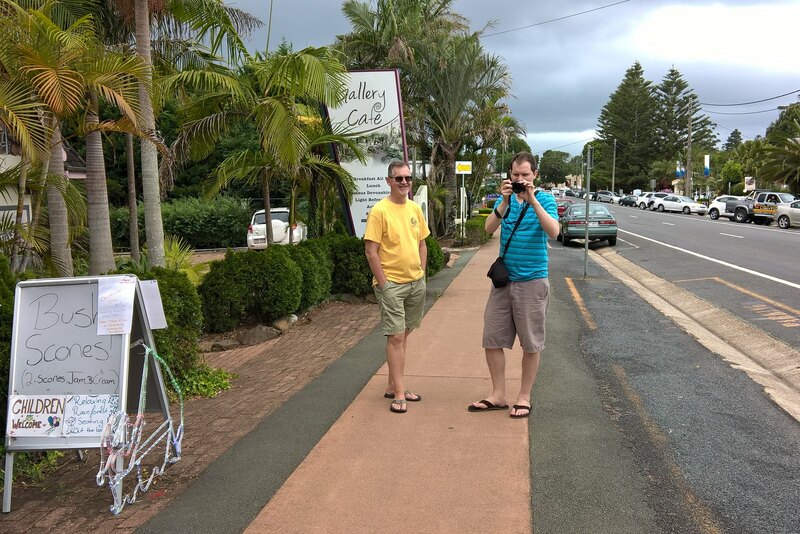 Tamborine is a popular destination in the Gold Coast Hinterland, an hour away from Brisbane. We drove here on our way back from the ocean as a day trip. The town that tourists see is primarily a row of shops and restaurants. 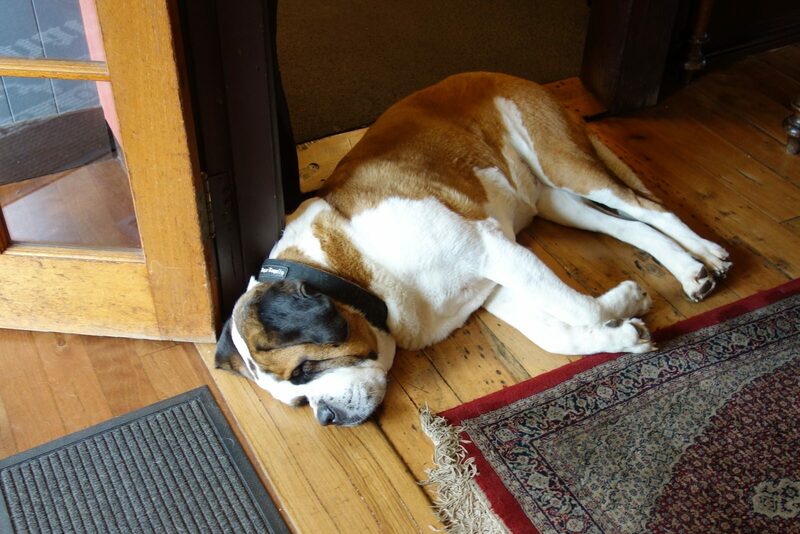 We stopped by the famous St. Bernard Hotel, and met its mascot. 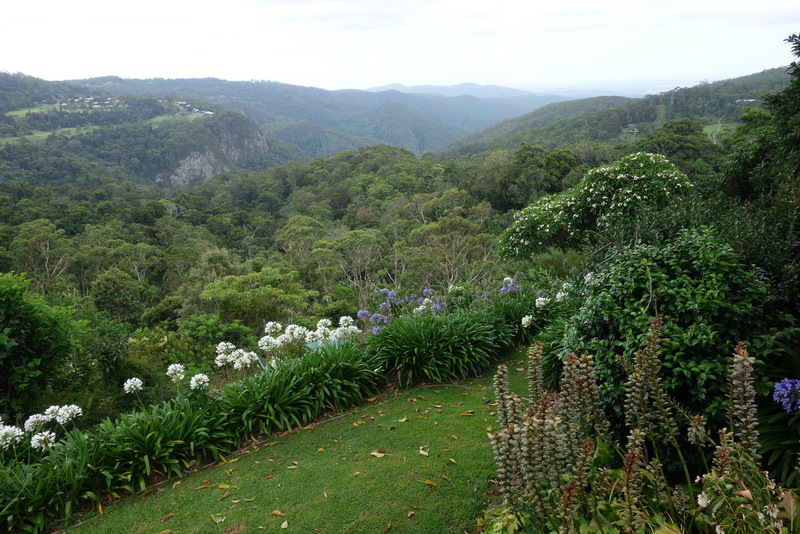 We also took a few minutes to wander the beautiful gardens and admire the views. There was this interesting tree by the front door with a plaque that made the most incredible claim. I let you decide. Well, we’ve covered food and drink. What’s next? Oh, yeah…explore! O dear, “Explore” is going to be too long to add in here and so is “Go to the ocean.” Let’s sneak in just a few Christmas pictures, simply because this was the Christmas season. Sorry if you are no longer in the mood. 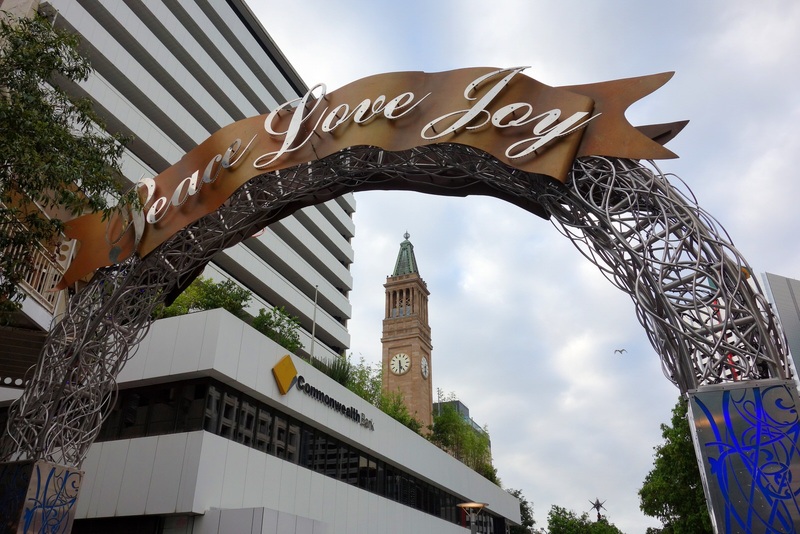 Meyer, one of the largest department stores in Australia, annually creates a Christmas window display. This year (2016) was based on the new children’s book ‘One Christmas Eve’ by author Corinne Fenton and illustrator Marjorie Crosby-Fairall. 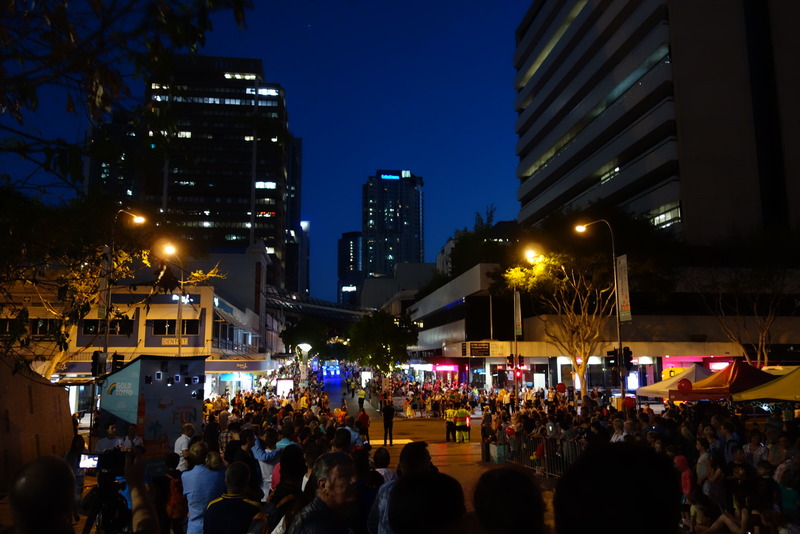 We head over to King George Square to wait for the parade and the eventual light show. 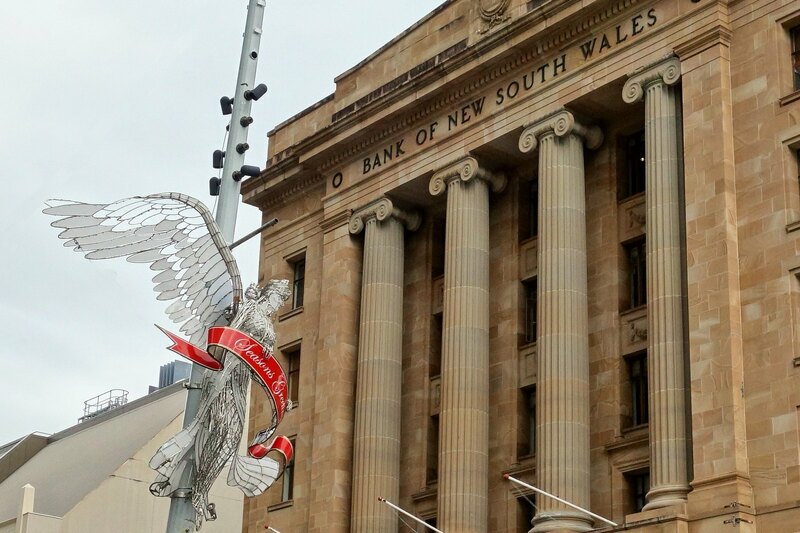 Waiting, waiting, waiting…where is the parade? Where is Santa? Finally. Here it is. 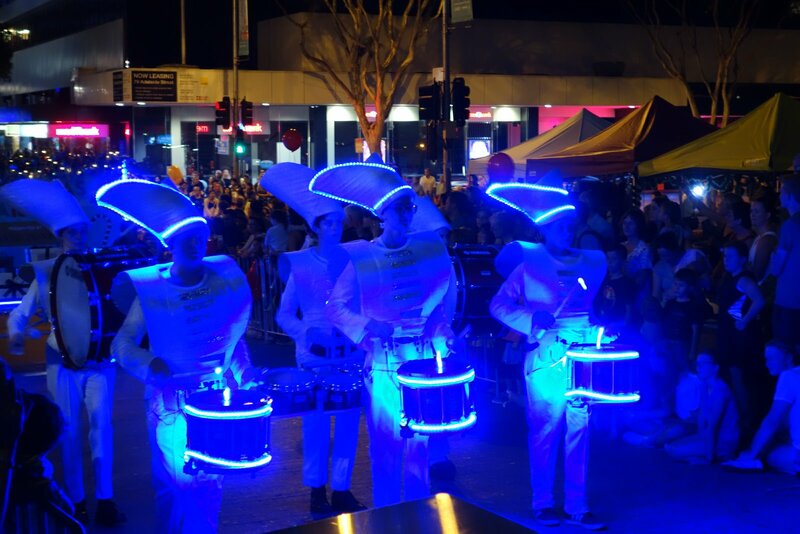 A brilliant display of light. 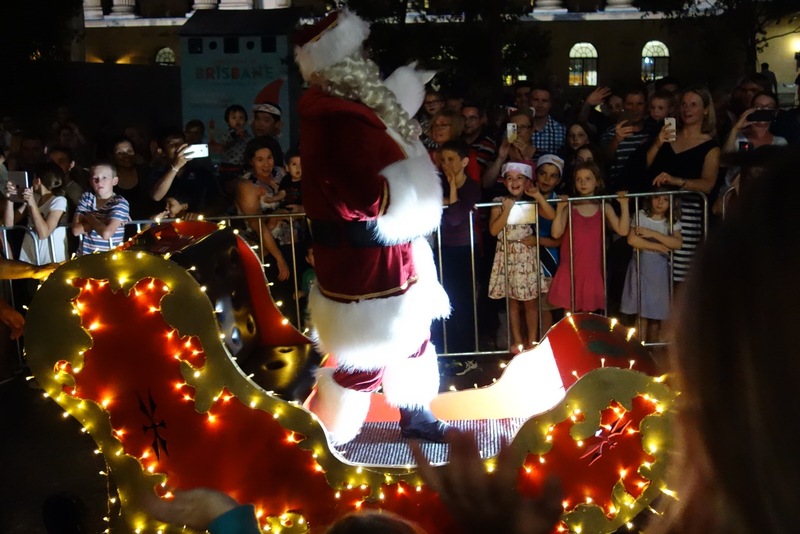 And here comes Santa Claus! Look at the delighted faces of the children. 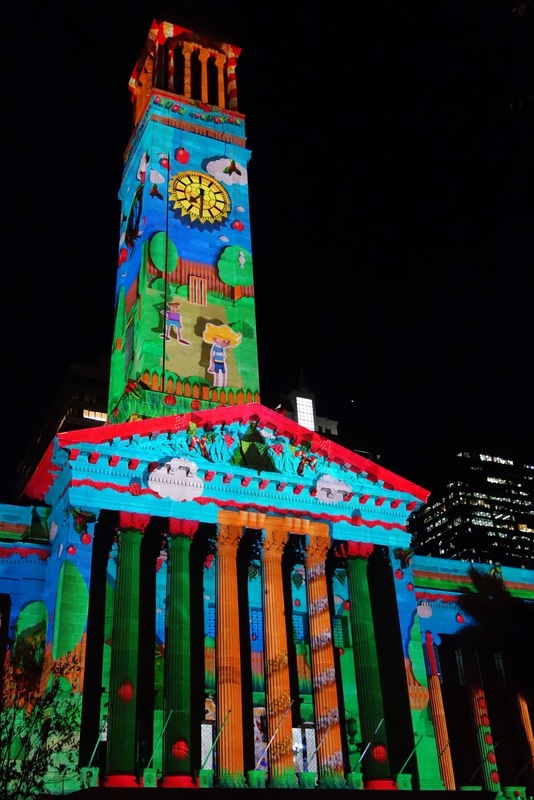 Every year there is a fantastic light show on City Hall. Although this was not my favorite year, it was an impressive display of light nonetheless. My final food picture has a story. 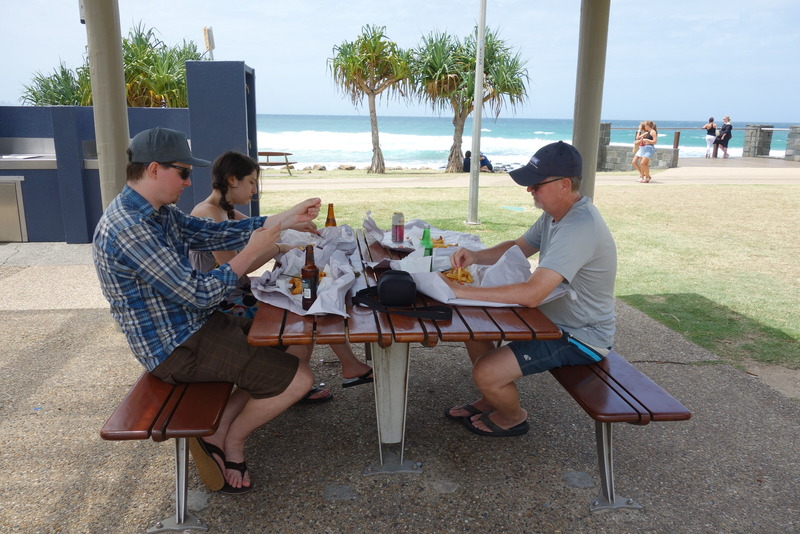 It is Christmas morning and this was meant to be the traditional Aussie picnic on the beach. But Christmas day was stormy and rainy so we stayed at home. Just as well, we heard later that in spite of the weather the traffic was at a standstill on the motorways, some people sitting for 3 hours before they could get to the next exit to detour back home. Yuck! 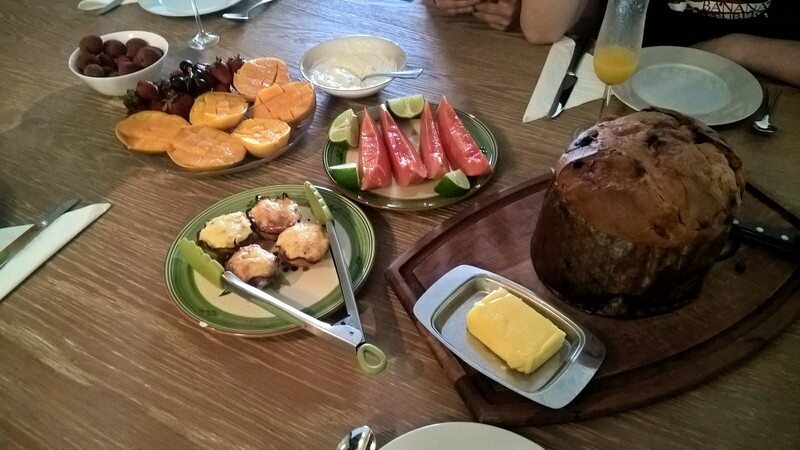 As it turned out we enjoyed our breakfast of Panetone (traditional Italian Christmas bread) and tropical fruit (papaya, mango, lychee, and strawberries), and Scotty’s Nest Eggs, complete with Champers and Orange Juice and hot Flat Whites. 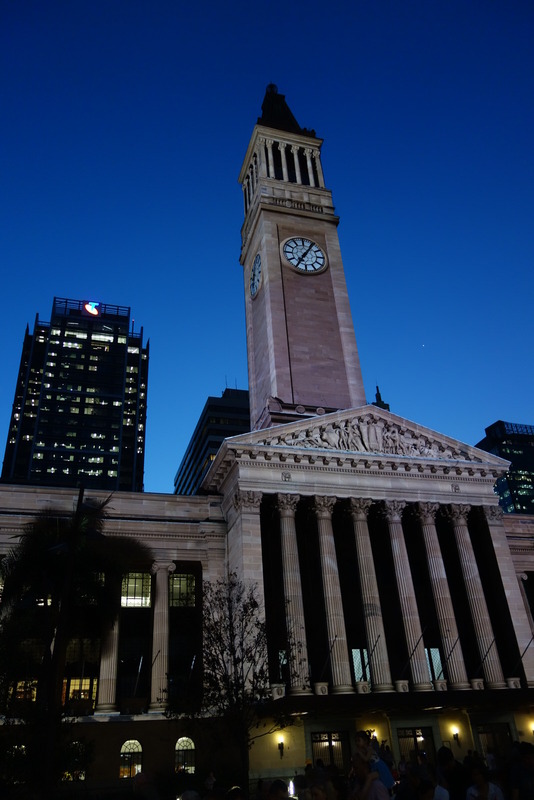 This entry was posted in Our Brisbane Life and tagged beer, Christmas in Brisie, Fortitude Brewery, Fresh N Wild, Fritzenburger, HooHa Bar, Meyer christmas window display, Miel Container burgers, Myer Christmas Parade, seafood, St. Bernard Hotel, Tamborine, town hall light show. Bookmark the permalink.